I’ve been in the hairdressing industry for more then 15 years in top end salons so I have bundles of experience & love for my job. I trained locally in salon & attended the Vidal Sassoon Academy in London & Central Hairdressing Academy to gain my NVQ’s in hairdressing. 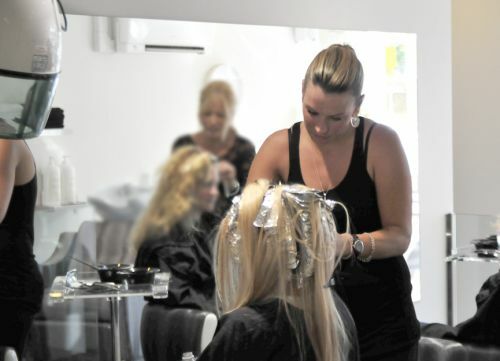 I also worked with a team of colourists at ‘Salon International’ in Milan & London which was an amazing experience. I’m a highly motivated, highly creative stylist that’s passionate about my work. I constantly keep up to date with all the latest trends and my skills range from classic cutting to modern colour and cutting techniques. My philosophy is to treat each and every client as an individual and to make sure they have the most pleasurable experience in our salon. I offer a loyalty card scheme for clients new & old.